Sociologist, philosopher and historian. Born in Logierait (Perth and Kinross), Ferguson was educated in Perth and at St. Andrews University, before completing a degree in Divinity in Edinburgh. He served as an Army Chaplain with the Black Watch and was present at the Battle of Fontenoy in Belgium (1745). 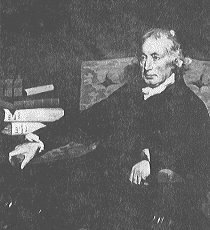 Ferguson returned to academic life, becoming Professor of Natural Philosophy at the University of Edinburgh (1759) and then Professor of Moral Philosophy (1764). He spent extended absences on the Continent, during which he became acquainted with Voltaire. Ferguson introduced the method of studying humankind in groups and is father of the subject now called "Sociology". His works include A History of Civil Society (1767) and History of the Roman Republic (1783). Ferguson travelled to Philadelphia (USA) as part of a commission sent to negotiate with the American colonists (1778-9) and became involved in the US War of Independence. He lived for a time at Neidpath Castle (Peebles) and also at nearby Hallyards. Despite suffering a stroke in 1780, died in St. Andrews at a grand old age.